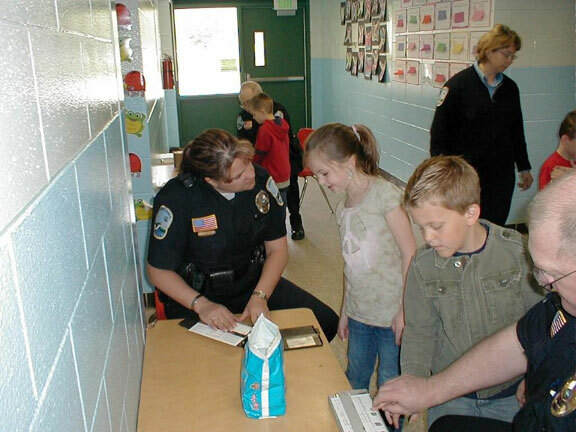 On Thursday May 14th the Lakes Area Police Department conducted a Child Print session at the Primary School. 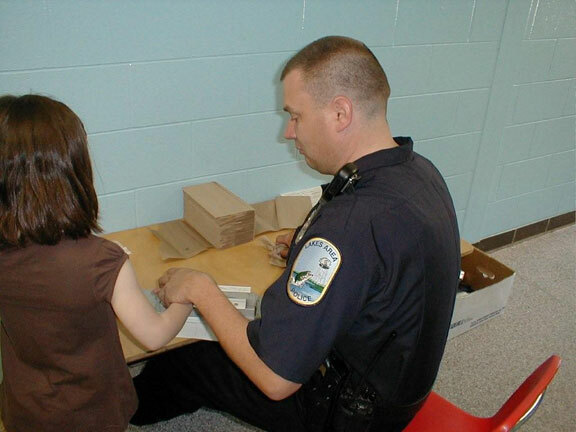 Kindergarten classes were fingerprinted and the card sent home to the parents for safe keeping. 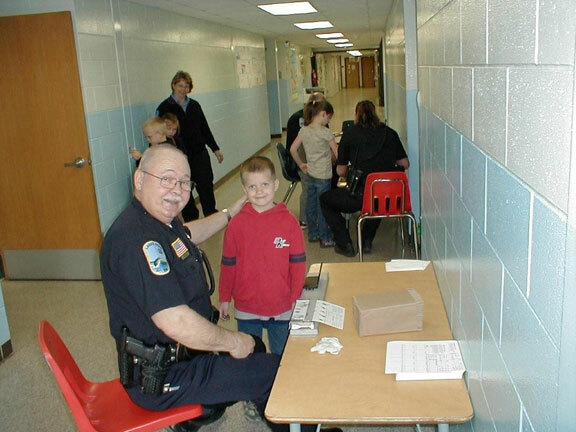 Lakes Area has been conducting Child print sessions since the late 1980's. 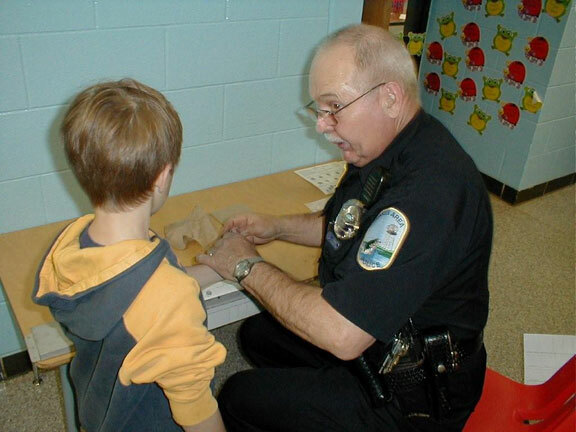 The program not only helps keep kids safe it also is a great program that helps build trust of Officers by our communities children.